In Money & Finances, My Family. 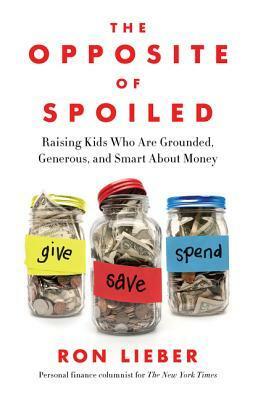 Things I never expected to say: according to Ron Lieber’s definition in his new book The Opposite of Spoiled: Raising Kids Who Are Grounded, Generous, and Smart About Money, I qualify as “wealthy”: I have everything I need and (insatiable book lust aside) most of what I want. This makes me all kinds of uncomfortable, even though Lieber freely admits his definition is different than most people’s. Will and I both read the book recently because our kids have started asking us tough questions about money. The typical stuff: Why won’t you buy me black boots? Can’t we afford to go out to eat? Why can’t I buy that LEGO set? Since reading the book, Will and I have discovered some things we’re genuinely getting right with our kids. We weren’t exactly surprised to find some areas that need improvement, but now we’re inspired to actually tackle them—and soon. WE TALK ABOUT MONEY WITH OUR KIDS. Money talk isn’t taboo around here. We talk about what we buy, and what we don’t, and why—from the grocery bill to the big picture stuff. We went to a ton of trouble to rent our old house last spring (and we’ll have to do it again soon), and at one point Sarah asked me why we were bothering when we could have just sold it. I was surprised by her question: it hadn’t occurred to me she didn’t understand. When I told her it’s because now we get a rent check every month for x-number-of-dollars, she got it. And she offered to help. Our kids know we give money to church each week (though they don’t know how much). They can tell you why we’d rather buy Christmas gifts from cottage industries than Target. They know (after a recent discussion) that we could afford to go out for tacos every week, but choose not to. Our neighbor just got a new minivan; Will and I both drive old cars. Our kids told us we should get shiny new cars, too. We talked about how we really aren’t car people, but we care deeply about taking big (and expensive) vacations to visit far-off friends and family. That’s a trade-off we make because those are our values. From a young age, our kids have all had ways to save money for the short term and the long term. Their wallets hold their petty cash (and rarely go to the store—that’s important! ); larger Christmas and birthday checks go straight into their savings accounts. Their default pattern for their whole lives has been to save first, then think about spending. Will helped Sarah make a spreadsheet to track her costs for her latest business venture. 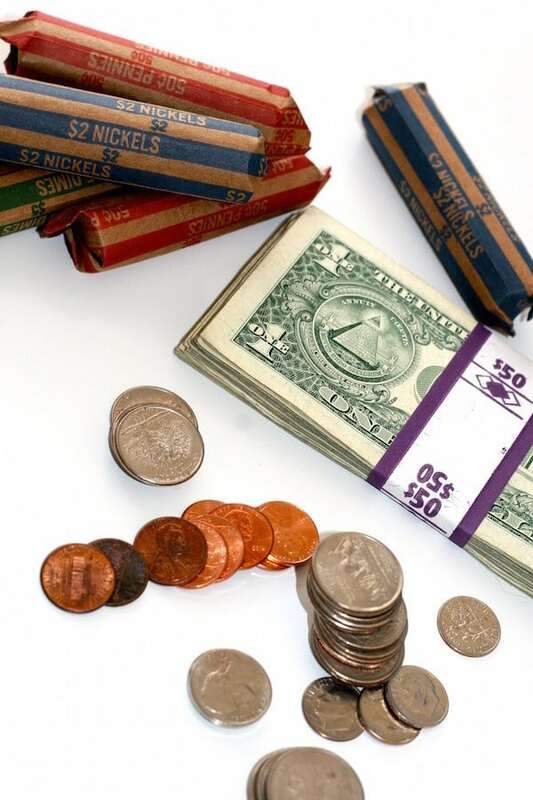 Jack recently rolled up every coin in his piggy bank and exchanged it for bills at the bank. We helped our kids calculate how much it costs to make tacos at home vs. eating at our favorite taco place. Lieber believes the best way to get kids started with making financial decisions is to set them up with three transparent containers or jars labeled give, save, and spend. It’s up to us, the parents, to set guidelines for how to distribute their money between those jars. We don’t have any system in place for this right now. Along with the allowance comes firm guidelines about what the kids are expected to spend it on: what they must buy for themselves, and what we will buy for them. Lieber says one of the hardest things about parenting in this context is establishing these guidelines and the reasons behind them. The challenge isn’t just articulating them to our kids: it’s articulating them to ourselves. My inner maximizer has been way too concerned with “helping” my kids how to spend their money wisely. There is something to be said for this. But over time, kids need to learn—through trial and error—how to make their own decisions. Adults have to make tradeoffs; kids need to learn, too. Childhood is their practice round. This isn’t just a nice abstract value: many of today’s twentysomethings carry crippling amounts of credit card and student loan debt. Lieber’s mission for the book is to teach the next generation how to be better at money than our parents were, and to be better at talking about money than our parents were, so that they can increasingly WIN their twenties financially. I recommend reading the book if you’re interested in exploring this topic further. My family is just getting started with this subject: what tips do you have for teaching kids to be smart about money, based on your past experience as a child or your experience now as an adult? 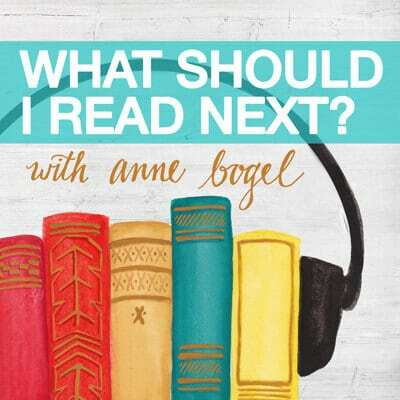 Next:40 great book club novels. Growing up my sister and I never had allowances. Once we started earning our own money in our teens my sister spent everything she had and I felt guilty ever spending a penny. My daughter turns five next month and I will be starting an allowance, although my husband are still trying to agree on the tying to chores debate. We ended up getting a four-slot bank from Money Scholar. Its four slots are Spend, Save, Give, and Invest. I was really torn with the transparent bank idea at the time; I can really see the benefit of it. I do like the four-bucket system, and it’s cute seeing my 4-year-old sitting on her bed, waiting for her allowance for the week, with the piggy bank on her lap. She also fills out a church giving envelope at the time to drop off at church the next day. When I was raising my now-grown kids, the allowance system was thus: chart of chores that had to be done before they could get to the chores for which they would get paid. Basic maintenance, such as making their beds and putting away their clothes or loading the dishwasher were tasks they didn’t get paid for. Scrubbing the bathtub (to Mom’s standard), raking the leaves (ugh, especially that one; we had so many trees!!) and that sort of thing were the chores for which they would earn money. At some point, each one of the kids would grumble about having to do chores that they didn’t get paid for doing. All I ever said was, “Who pays me to do chores around the house?” That, they understood. I’m definitely going to have to read this for the debate on tying money to chores vs. it just being an allowance. I was raised with a certain number of chores just being expected as part of living at home, and only getting paid for extra work above and beyond that. My parents were also pretty strict about where that money went (50% savings, 10% charity, %40 spending), and I plan to do the same with my children. I’m interested to know the reasons why Lieber doesn’t think money should be tied to work, because that seems much more logical to me, and like the real world where money has to be earned. There’s a whole chapter about this, but here’s his reasoning in a nutshell: kids should do chores because they’re members of the family, not because they’re getting paid. (He wouldn’t object to paying kids for above-and-beyond work, but that would be separate from an allowance.) He presents a solid counter-argument as well. This (allowance for chores or not) is one of those topics where there’s a lot of disagreement, and people feel passionately that they are right. And there are some studies showing both sides. Very tricky! I want my kids to be financially literate, but I also want them to experience the joy of doing something for someone else without being financially rewarded. Another reason not to tie money to chores is that then you may hear, “I have plenty in my bank. I don’t feel like mowing the lawn.” And then who is going to do it? Brilliant! Have to add this to my wishlist, well done on the honest self analysis. Something my brother is doing with his children (ages 13.5 &15) is having them be responsible with part of the family budget. He gives them whatever part of the budget is allotted for the month for their clothing, toiletries, school-related costs, etc. They are responsible to spend this wisely, use coupons to make it go further and such. This is separate from any money they earn for an allowance. If they run out and needed to buy face wash, I guess they’ll figure out how to get by and learn how to better account for those things the next month. I think it’s a great way for them to learn those things in a “safe” environment where they can make mistakes and it won’t really hurt too much. Is the allowance amount he suggests per week or per month? Is there discussion of giving them more to manage (like a clothing allowance) as teens? Also interested in the transition to college/young adult either living at home or in a dorm? I think this is reason I still haven’t tackled the issue. Then again, my boys don’t have routine chores either. Perhaps I’m just being lazy! Thanks for this. There is so much back and forth on this issue. I get overwhelmed and not sure where to begin (my kids are 3 & 5 so not quite ready yet, but my husband and I need to hash this out ahead of time and make sure we’re on the same page). I don’t think there is any one way to deal with allowance and chores. You have to do what works for your family, and you’ll probably try several different ways before you find the one that works. The only topic I remember seeing my parents arguing about was money. However, they never really talked to me or my siblings about it while we were growing up. When I do have kids, I want money to be a regular topic of conversation. I managed to graduate from college with very little student loan debt, but I think I could have avoided it if I had made smarter decisions earlier in my life. I want my kids to graduate without debt. When each of our daughters turned 13, we opened up a checking account for them and a debit card through PayPal. We also gave them a rather large allowance, but they then had to buy their own clothes and other sundries. For example, if they want a different shampoo than what I have, they have to buy it themselves. It has been so freeing for them – they don’t have to ask for $5 to buy a snack at a ball game – and for us, since they don’t whine about whatever jeans are currently popular. They have made mistakes and we’ve helped them, but I’d rather them make these mistakes while still living at home than to get a phone call in a few years when they can’t make rent because they’ve bought $500 boots. I think the spender/saver dichotomy is more nature than nurture. I always saved >95% of my allowance or babysitting money (my parents bought me frugal clothing and gifts for birthdays/christmas that took care of my wants for the most part). so I’m a natural saver. What I had (have?) no clue about—because we didn’t discuss money in our family other than “xyz is a waste of money” and “try to spend as little as possible on everything”—is real life budgeting, when to spend more for quality, spending to reflect your values, investing. I think the most important lesson will be to discuss these things with my kids, like you described above. It’s freeing that we don’t have THAT much power as parents! I am a banker and my husband is a stockbroker, and we are very conservative with our finances. I grew up with parents who made some very smart financial decisions. 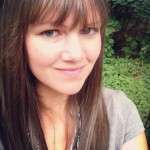 My husband’s parents are divorced, and his dad is ultra-conservative with money (to a fault!) and his mother was terrible with money and had to file for bankruptcy. In other words, we have lived across the spectrum of financial choices! My parents gave my sister and me a small allowance (not tied to chores, although we did have chores to do) and we did have to give a certain amount to the church offering plate each Sunday. As we got older and our “wants” became more expensive, our parents would also ask that we save up towards the purchase of the item. My parents did not believe in letting us work as teenagers (they wanted us to focus on school) but we were allowed to babysit. Any money I made babysitting was mine to do what I wanted. What I keep coming back to as I think about kids and money is that there are similarities with food. You hope to instill certain habits, but there’s also a lot of personality involved. Some kids happily eat almost anything, others won’t touch a pineapple (a pineapple! Can there be a more candy-like fruit??) Some people like to spend, and some people like to see piles of money accumulate. These people can grow up in the same house with the same parents. I also think we focus on the budgeting and spending part of money way more than the income side of it. I know there are cautionary tales of people with high incomes who manage to waste all of it, but I know from personal experience that it’s easier to live on less than you make when your family household income goes up. I want to teach my kids to be entrepreneurial too. I was talking to a woman about what to do about her adult child who spends way more than he earns. I assured her that I was like that too — until my income finally caught up ;-). Totes agree re personality and the food analogy is perfect. This thread is not helping me to get my work done today! Yup! I was raised with what is generally a great money ethic: be frugal, save, etc. But the flipside of this is that I’m too cheap! Sometimes the solution really is to throw money at the problem. My husband is currently reading this book and once he is done I will be reading it! We get the “Why can’t we get that LEGO set?” question all of the time! I need to read this book too! We’ve been doing the Dave Ramsey money program for kids and much is similar—spend/save/give but once they are 6, clear containers for their money. He does tie the income to chores, but not all chores–kids are expected to do some and may choose others to earn more. Rewards those who choose more with more money, etc, kind of natural to me. I love the clear containers as they can see what they’re getting so easily. My kids are very excited about this. Their first purchase was toys at Goodwill, and they paid themselves. This morning my daughter asked to buy herself and her brother a cake pop at Starbucks, with her own money, which I think made everyone’s day in there to see this transaction. She also brought a candy egg for the barista. The biggest thing I love about any money program is avoiding the mistakes my husband and I have made with money. Our kids will know the value of money, that it takes something to earn it so they should carefully consider spending it, and hopefully they will have good money habits set up way before they need them. I hope they can avoid student loans, credit cards, mortgages beyond their means, etc and develop a true mentality of paying for and saving for their needs. I hope they can identify wants and needs, and prioritize, and see what truly matters. He describes people as savers, spenders, and givers–but says everyone needs to know how to do all three well. 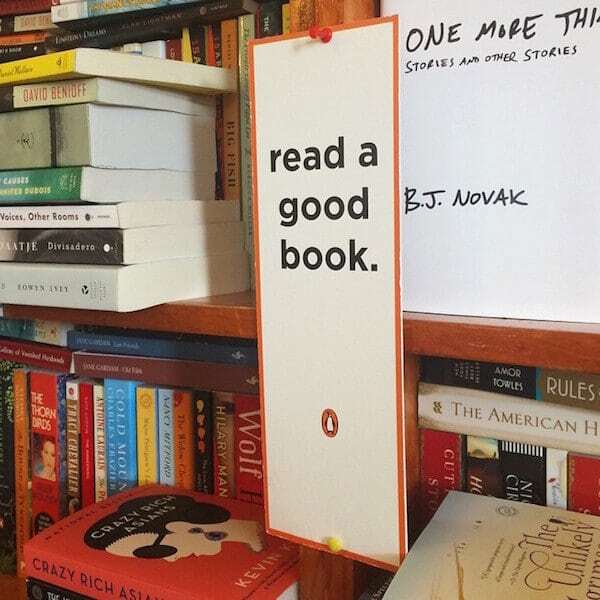 I concur. Saving and spending and giving are all important–wisely. We don’t have kids yet but I can say that growing up I didn’t experience as much diligence around allowance as you describe here – and I wish I had! I never really learned good budgeting skills and was used to spending a majority of the money I “earned” on the things I wanted (vs. needed). This impacted my views of money as an adult and I struggled my first few years of working because I wasn’t used to paying for things I needed. Now, mine is probably a better story than most because I recognized this and worked through figuring everything out, I never got into debt or any form of trouble but I did struggle through that process of understanding where money needed to go and how to facilitate that process. My husband, on the other hand, learned a lot about budgeting from his dad and he is seriously a whiz at handling our finances/giving/saving/investments. Just a little story to prove that these decisions now really have an impact on us as adults. We all need to learn these principles at some point, the question is simply when. The allowancs issue has been hard for me to sit back and watch. My son has been saving for a loooong time for a special Lego set. Allowance, birthday, Christmas money, his spend portion of it all has gone towards saving for a $400 Star Wars Death Star set. I know the satisfaction when he earns it (probably this summer) will be a valuable lesson to him, but I might have to hide and have a good cry in the bathroom! I wrote about some of my feelings on teaching money management when my kid spent his book money on a crappy toy several years ago. I still feel he learned a valuable lesson there. 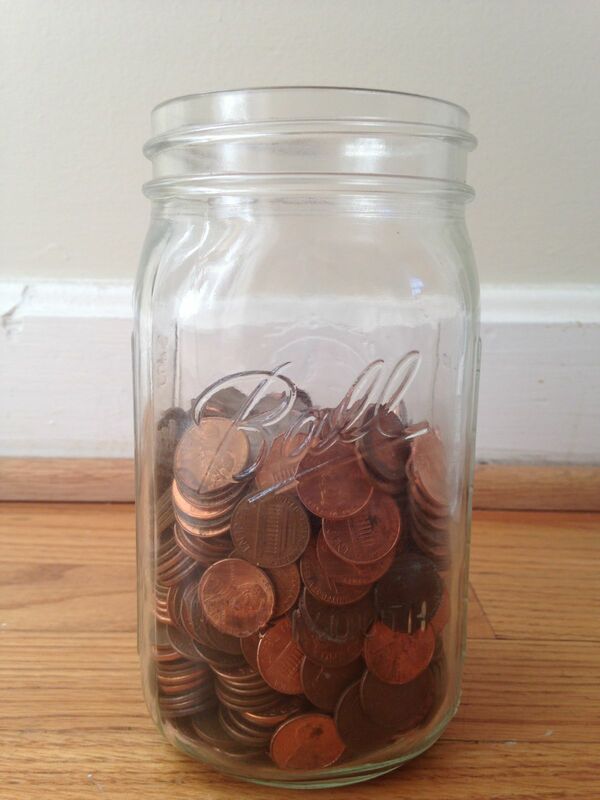 My dad started me off with the Spend, Save, Share divided allowance when I turned 5–but we never tried transparent containers; that’s an interesting idea. Allowance was not tied to chores, but there were “bonus” chores my brother and I could do for extra cash. I got a bank account for my savings when I was 9, then a checking account when I was 14. At 14 my allowance was increased to cover clothing…if I shopped very frugally!…and my dance lessons, for which I wrote a check each month, so I was responsible for keeping at least $28 in my account to be ready for that payment or I’d have to quit dance. (Never happened.) At 16 I was going to a school that let us leave campus for lunch, so I wanted flexibility instead of prepaid tickets for cafeteria lunch; my dad bumped up my allowance by $5/week but the cafeteria lunch was $1.10…so I had days when I skipped lunch or ate from the vending machines, rather than let lunch cut into my make-up and movie money…but after a while my dad decided that wasn’t teaching me anything good and added another $1/week! When I went away to college, we agreed on some expenses that I would cover with my earnings from part-time work and others for which my parents would reimburse me. I mailed them a monthly itemization of my spending…and for my entire first semester, they did not reimburse me. My scholarship check plus my own earnings covered all my textbooks and supplies, all food eaten outside the dining hall, clothing, movies and such, dorm room furnishings, and Christmas presents for everyone, but by winter break I was down to literally a few dollars! Turned out it wasn’t even a conscious strategy by my parents but simply procrastination! I was annoyed, but it was exciting to find that I could stretch the money so far. When I finished college and was truly supporting myself for the first time, I lived on $400/month for a while. We’re following basically the same path of teaching our kids about money that my parents followed with me. (My partner’s parents just handed him money whenever he asked for it, basically. It’s amazing that he turned out to be sensible!) Our son got the same allowance for 3 years before it occurred to him to ask for a raise, and when I then DOUBLED the amount, he was amazed at his riches–but he gets a lot less than most parents give their 10-year-olds, based on my asking around. My parents gave us an allowance (not tied to chores). I saved every penny and my sister spent it all. However, as adults we are both responsible and relatively frugal. It makes me wonder if the years of watching our parents responsibly manage their money was the biggest lesson? We have our children’s allowance tied to chores…sort of. I’ve heard before that you shouldn’t tie allowance to money but the way we see it is this: Each family member does things to contribute to the family working well….Dad earns an income, Mom does things by hand to reduce expenses, and the children help out with basic chores. Therefore, as each member contributes work to the family, each member is deserving of a portion of the income. Mom and Dad are able to use leftover income for discretionary spending and so are the kids. We started with a system called Kids Wealth when Samuel was 4 and we still use a version of it today. I just googled it and it is now an as seen on TV thing and if I saw that website today, I would not purchase it, but it IS a good system. Instead of weekly “allowance”, Samuel has Kid’s Pay once a month that is his part of the family budget. It comes with expectations of what he is responsible for and what we are responsible for. I love it! When my brother and i were growing up my parents did a very wise thing. They started giving us our allowance 3 months worth at a time. ( We were 8 and 11 at the time). Out of that money 10% was tithed for Sunday School and that also included our milk money for school ( we packed lunches) and our dues for Scouts or whatever plus money to spend or save. We were expected to make it last for 3 months. The tithe always came out first and into a special container. We were shown how to set aside money for the other things but that was up to us to do so. If we blew through all of our money the first week we had to wait until the next pay out in 3 months. There were no loans or bailouts. If our milk money went to candy and comic books then we drank water for lunch. If there were no Scout dues we had to be the ones to explain that at the Scout meeting. It was the best thing they could have done for us. The first couple of months were rough ( especially on my brother) but we both soon got to be very good at budgeting and saving. We had expected chores assigned that were not tied to allowance but were expected to be accomplished. We could earn extra by ironing for mom or helping my dad in the yard and so on. I still budget this way. I get out cash each month when I get paid and I use the envelope method for all of my spending categories. It really helps keep me on track. The only time I use credit cards is to order online and we do not use debit. The cash going out is a much more visible reminder of how I am spending my money. Ha! Sounds like my parents could have written this book. 10% church, 45% save, 45% spend. Or maybe 20% church, I can’t remember exactly. And one dollar for each year of age. Not tied to chores, but there were “extras” we could earn if we wanted to. My mom also taught us a bit about the family budget (not too much)- we were given a certain amount for new shoes for the school year, and then we could watch sales, coupon, or whatever to pay for them. We bought our own fun things (toys, extra art supplies, whatever) but my parents have a major soft spot for reading so they paid half the cost of new books. We still learned to shop library sales/thrifting/etc. My mom really taught us how to shop around and spend wisely. I think it’s really important for kids to learn how to manage money and a household. I don’t know how you’d teach this to kids, but the eternal question of doing it yourself vs. hiring out. Everything from changing a fixture to cleaning to large projects. Perhaps it’s like your eating in and eating out example. Isn’t going out to eat hiring out the cooking (and cleaning up) process? Those can end up being major decisions when they’re living on their own. This book is definitely going on my “to-read” list! It reminds me a lot of Dave Ramsey (not sure if you’re familiar with him). My husband and I are doing his Financial Peace University and he brings up kids and money quite a bit. In fact, he even has a program designed just for children starting as young as 3! Similar principles as you listed from this book: 3 transparent containers labeled “give,” “save,” “spend.” But he does encourage paid chores that he calls “commission” not “allowance.” He even suggest having some household chores that are done based on the fact that you’re a member of the family, so no pay is given. But a list of others that are maybe $1 each. You only get paid for the chore you did…i.e. you’re commission. 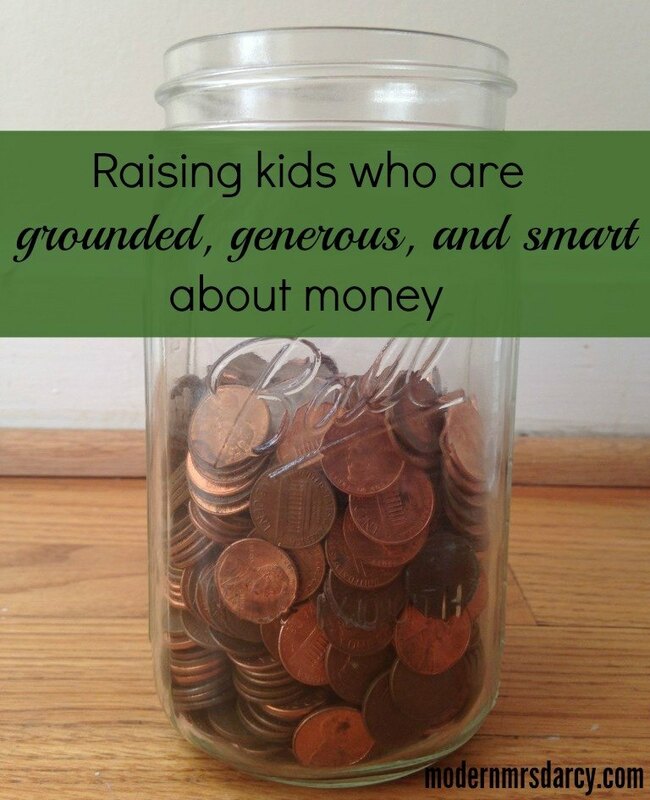 Thanks for this post about this book, I love resources on how to teach kids to handle money. I wasn’t taught very well, and I’m paying for it now. I definitely don’t want my kids to grow up the same way. Dave has a book out called Smart Money Smart Kids. I’m sure you would love it. It sounds like it has some similarities to this book, but a couple of important differences. Now that my oldest is 16, I am having him “pay the bills.” It’s pretty funny as I am very old fashioned with pretty stamps, checks and envelopes and he thinks he’ll never do what I do. The point is that it needs to be done twice a month and he needs to consider the income that flows our way (it seems like a lot!) the bills that make claims on the income (it seems like more! ), the stuff we put off and the surprises. “Geez, how much is the co-pay for the dentist, $96?” He is fighting me so hard and being obnoxious but I do think he’s a little interested. I also think he liked the batman stamps I bought him. Our kids are in their 20s now and do well with money. Even more, though, we’ve tried to teach them to be generous with who they are, to give of themselves to others. They might not always have money, but they will always have the abilities and talents God gave them. That’s worth learning to use wisely. This sounds like a GREAT book and such a necessary conversation to have with your kids. My husband is a banker and my parents did a great job of teaching me about money, so we’ve instilled many of these principles in our kids. We started at age 4, giving them four quarters and three jars–“one for God, one for saving, two for spending” was their mantra every Saturday night. As they got older, we gave them a little more (i.e. eight quarters–we’d go through the mantra twice–and then four dollar bills). When they went to high school we figured out a budget that would include their clothes, so from age 14 on, our daughters were expected to buy their own clothes. They got paid when we got paid so they understood the concept of waiting for that paycheck. Oh, they also have to pay for their entertainment and cell phone expenses–we’re tough! If they didn’t have enough money, they got a job. Today, all three of our daughters are hard workers, tithe regularly (an expectation in our home), and have money in savings. Our oldest, now out of college, often tells us that she’s amazed that so many of her friends don’t have a clue about money. My daughter gets 50 cents per week per year of her age. She’s ten so that equates to $20 a month (roughly). To make it easy on me I stopped giving her dollar bills and she just gets $20 once a month. So often we are in a store and she asks for something or rather she BEGS for it. And my response? “Did you bring your money?” That pretty much stops her in her tracks. We are still working on some money lessons. I want her to focus more on saving for a specific goal. I also want her to voluntarily give some of her money to charity. We tried the jar thing for a while, but that required lots of small bills or coins to distribute, and this mom just doesn’t have time for that. 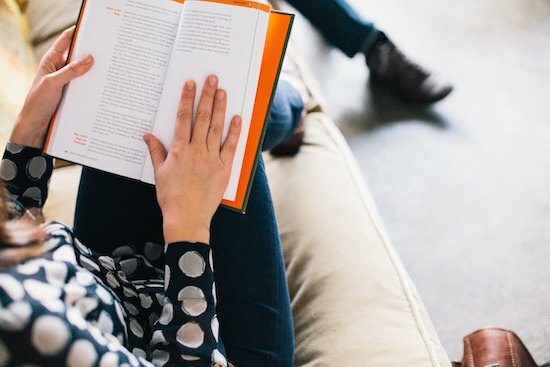 It is co-authored by Dave Ramsey and his daughter, so you get the parent/child perspective on things Rachel’s parents did to teach her and her siblings about money when they were kids. It’s great on audio because they both read it together.